What industries have historically thrived in the Coachella Valley? How has this shaped the startup ecosystem there? Joe: The foresight provided by the City of Palm Springs in accepting the challenge to be one of the original iHubs was a catalyzing event to jump start an entrepreneurial ecosystem that had been dormant for years. When the iHub was founded, entrepreneurs who came to the Coachella Valley to retire but had gotten bored or even saw their investment portfolios get diminished during the Great Recession came out of the woodwork. We are one of the only incubator/accelerator programs in the country where the average age of the entrepreneurs is over 50. We have our share of millennials working the digital world, but the Palm Springs iHub’s success has been built on experienced entrepreneurs who are not doing this for the first time. What are the most unique features of the Coachella Valley community? Hank: The Valley is comprised of small cities that include Palm Desert, Palm Springs, Rancho Mirage, and many more. The Valley is diverse in culture, hosts an international airport, and contains a population that fluctuates by over 30% seasonally. Joe: That’s exactly right. The Coachella Valley is made up of nine independent cities. Each of these cities have dramatically different demographics and histories. For nearly half a century there was physical separation between the 9 cities, but today one can drive from the westernmost point in Palm Springs to the easternmost point in Coachella without any separation. CVEP is a regional economic development agency and regional success depends on working together. Some of the leaders understand this and others don’t. To achieve goals like bringing in bandwidth and pushing for a full service research university will require that a critical mass of the valley commits to set colloquialism aside and work for the greater good over a long period of time. Are there specific public policies or regulatory landscape features that have enabled startup growth in the Coachella Valley? Joe: The California iHub initiative originated in Palm Springs, but came about at the state level. Despite these efforts by the state government to spur innovation, California has a more stifling regulatory landscape than most other states. These regulations, whether for environmental or aesthetic purposes, are often seen as blunting industrial activities. This means that the cost to start, maintain, and scale a corporation is roughly 1,000% higher here than they are in nearly every Midwestern state. Are there some startups to watch coming out of the Coachella Valley area? Joe: Since opening the Palm Springs iHub we have attracted 57 start-up companies. In venture capital, the expectation is that about 2% of companies become home runs, and we are certainly on that track. 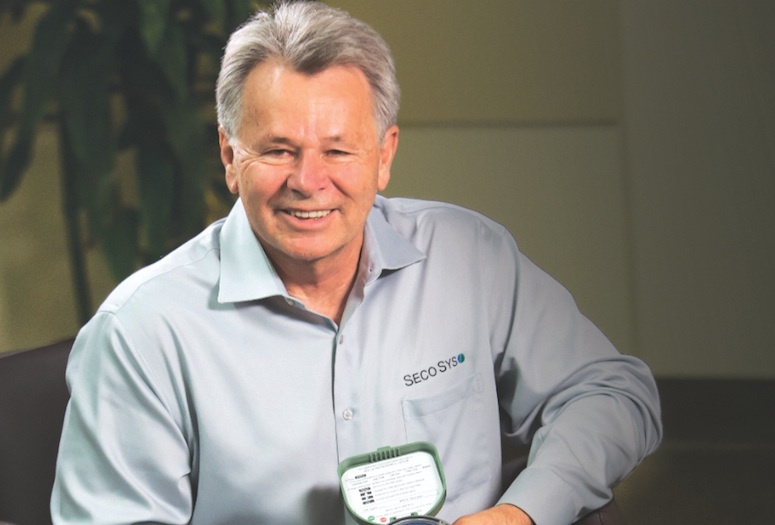 Hank’s company SecoSys has a patented solution to a water meter that is sensitive enough to detect leaks in homes, recreational areas, or public facilities. His company is especially important because the California water crisis is not over. SecoSys is poised to lead the way in eliminating water waste, which is incidentally one of the largest problems that created the water crisis in the first place. Another company with the potential to become a “unicorn” is Heppolt, a vertical axis wind turbine (VAWT) company that has been tested favorably by Los Alamos National Labs. Heppolt’s patented ground level design provides a higher output per dollar than traditional windmills while offering the convenience of ground level service and repair. Hank: Yes! Definitely keep your eye on Seco Sys!